Origin and Habitat: Discocactus zehntneri is endemic to Southern Brazil, where it is found from central to northern Bahia into southeastern Piauí (extent of occurrence less than 20,000 km2). The subpopulations of Discocactus zehntneri in the lowland are found in small patches but those at high-altitude localities are locally abundant and common. Altitude range: It grows at elevations ranging from 400 to 1200 metres above sea level. Habitat: It is found between rocks growing together with grasses and shrubs. The main habitat for the lowland subpopulations consists of crystalline rock outcrops, while the high altitude subpopulations also grow between sandstone rocks on sand and gravel. This species rarely grows on iron and manganese ore (pedra canga). It is surrounded by caatinga or campo rupestre. The subpopulations in the lowland and in some high-altitude localities are declining, while other high-altitude subpopulations occur in a protected area and are stable. The main threat is quarrying of the rock, sand and iron ore on which this cactus thrives, and which is expected to lead to further population declines. Part of the species range was flooded as a consequence of the construction of the Sobradinho dam in the 1970s. 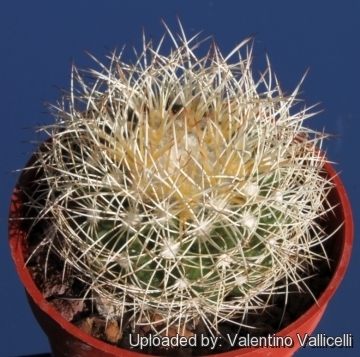 Description: Discocactus zehntneri is a squat tiny little solitary plant. Two subspecies are recognized, the typical form and subsp. boomianus (Buining & Brederoo) N.P.Taylor & Zappi. Both subspecies - in culture - produce many offsets. Stem: Dull-green 10-20 in diameter and 7-10 cm tall. Cephalium: Up to 1 cm tall and -4 cm wide, at the apex of the plant, creamy-withe to light-brown with yellow to brownish bristles up to 2 cm.. Flowers: White, scented, slender funnelform, 2 to 9 cm long. The position of the stigma is at the top of the stamens. Each flowering lasts only one night, but that night it produces many flowers. 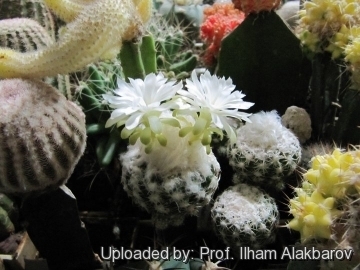 Remarks: This plant is part of the D. zehentneri complex which comprises several variable subordinates taxa, but not all are universally recognized. The ssp. 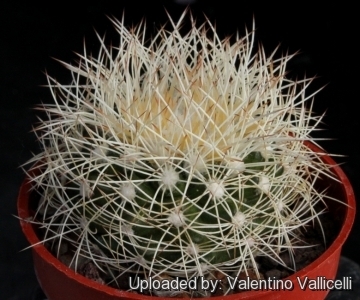 zehntneri Looks very much like Discocactus albispinus. They grow in the same area - Serra de Cabaluda- but D. zehntneri is smaller and has straighter spines than D. albispinus, also its shape is more globose. 5) Machado, M., Braun, P., Taylor, N.P. & Zappi, D. 2013. 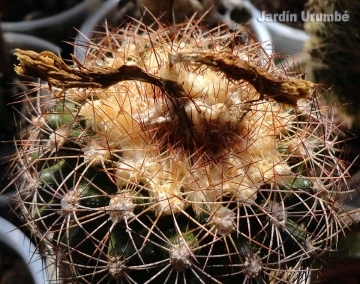 Discocactus zehntneri. The IUCN Red List of Threatened Species. Version 2015.2. <www.iucnredlist.org>. Downloaded on 25 June 2015. 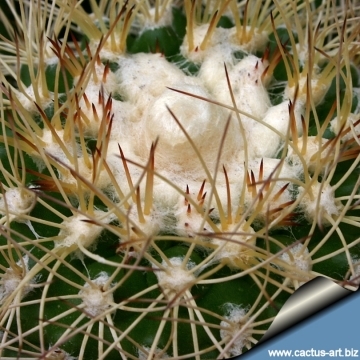 Cultivation and Propagation: It is one of the easiest species of the genus to grow, but even so it isn't a plants for beginners, in fact collectors consider the Discocactus to be rarities with requires skilful cultivation. It is rather difficult to grow and frost tender, it can’t stand cold, or even fairly cool temperatures and should be kept at above 15° C if grown on its own roots (8°C if grafted). Need full sun or afternoon shade. They are slow growing and very rot prone when kept on their own roots and though they can’t endure long stretches of total dryness, too much water will rot them, as their weak root systems tend to be inefficient at sucking up water from wet soil. They generally resent being repotted and can take a long time to establish. 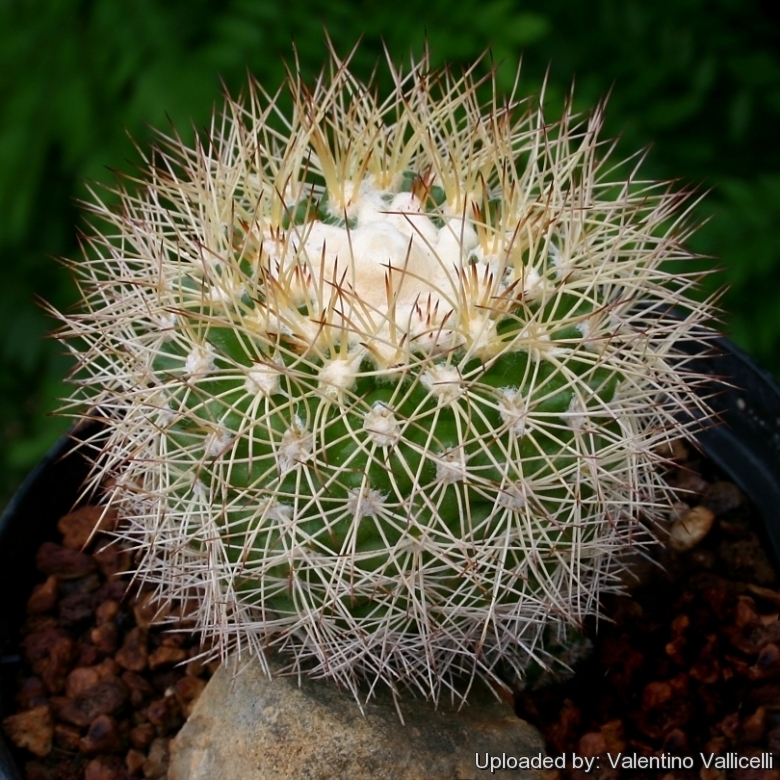 When grown to maturity, however, it possess an exotic look shared by no other cacti, and it generally attract a lot of attention.